Apartment Details:Spacious one bedroom in excellent, move-in condition. 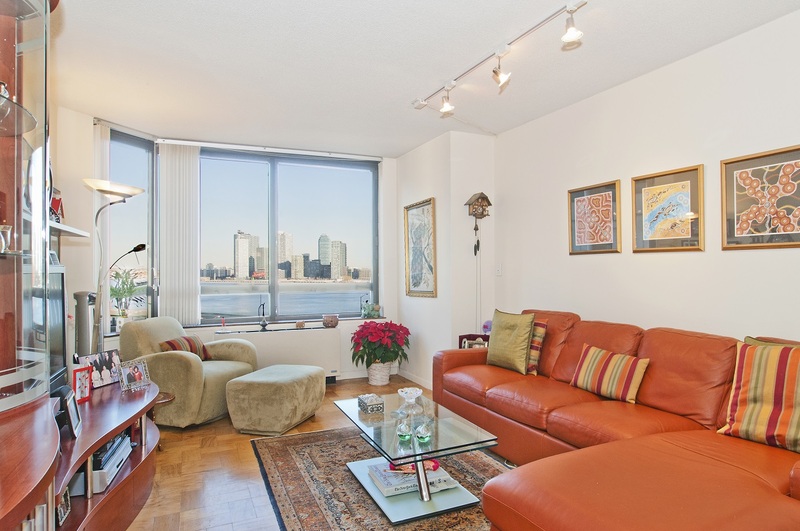 All Windows are Facing Direct onto the East River with views to Long Island City and beyond. 25'x 12'5' Living Room. Kitchen with granite counters, new cabinets, stainless steel appliance, including dishwasher and built-in micro. All granite bath room in nearly perfect condition. Apartment has excellent closet space, 3/4' hardwood, oak floors, large 11x16 bedroom....all overlooking the river.,,,,,,,,,,Building Details:Manhattan Place is Luxury, white glove Full Service Condominium. The building includes a rooftop Health Club boasting a full gymnasium, separate Cardio Room, roof top indoor pool, indoor running track, hot tub, sauna, steam room, 2 Sun Decks, Party room with Grand Piano and fitness classes. Beautiful Lobby Renovation just completed in October 2013, Outdoor Plaza/park with tiered fountain. Building includes attached Parking Garage and valet for packages, maid service and bicycle storage.. Citibike Port and Express Ferry to Downtown are both 1/2 block away. PLEASE CALL or LEAVE EMAIL MESSAGE IF ATTENDING OPEN HOUSE AS BUILDING REQUIRES OPEN HOUSES BY APPOINTMENT ONLY.